Calling all environmental engineers! Spring will be here before we know it. Birds will start their search for the perfect nesting spot to lay eggs and raise their young. 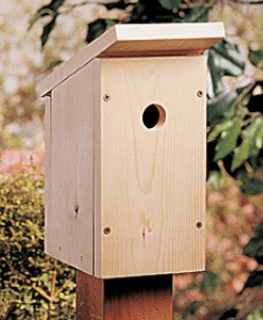 Build a birdhouse with wood and recycled materials. Plans to make another at home and placement suggestions will be included. For families with children age 5 and up. One birdhouse per family.